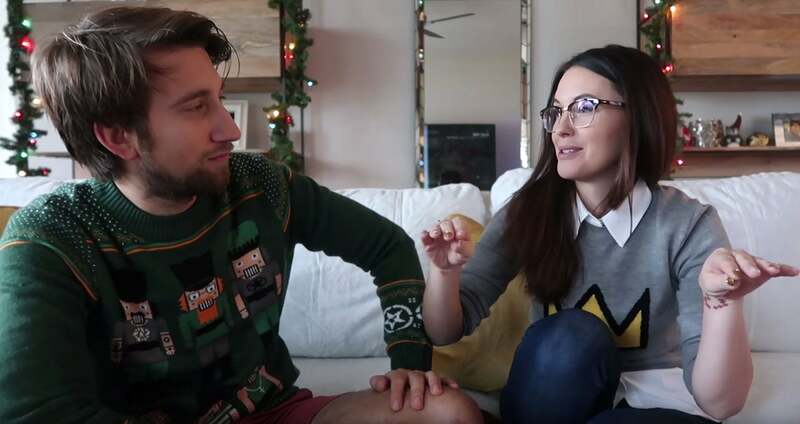 YouTube stars Megan Turney and Gavin Free were forced to hide in their closet and call 911 last month after a fan armed with a handgun invaded their home and fired "at least one round inside the house". He was then shot dead by police in the couple’s driveway. 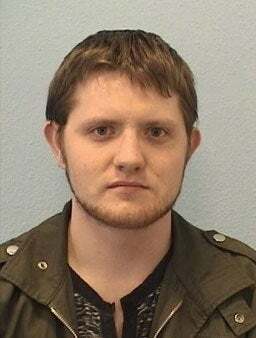 The Albuquerque Journal reports that the intruder Christopher Giles - described by police as "single, lonely and disturbed" - drove 11 hours from New Mexico to the couple's home in Austin after growing infatuated with Turney's YouTube videos. Turney and Free were woken at 3:40AM on January 26 by "the sound of breaking glass and a gunshot". While Giles searched the house for the couple, they hid in their bedroom closet and called 911. Giles, unable to find Turney and Free, returned to his car and attempted to drive off. While still in the driveway, however, Austin Police arrived and "ordered him to stop". KXAN have reported that, contrary to a preliminary examination, it was in fact police who killed Giles. Two officers arrived at the home one minute after the 911 caller heard the gunshots. As they approached the home, Giles was about to drive off when they gave him commands to stop. At that time, police say Giles, of Albuquerque, New Mexico, shot at the officers. Officer Matthew Jackson returned gunfire, striking the suspect. The suspect died at the scene. No officers were injured. An Austin detective wrote in court documents, obtained by The Albuquerque Journal, that "A search of Giles' cellular phone identified various notations identifying Megan Turney and Gavin Free by name. Furthermore, threatening thoughts were recorded by Giles and directed toward Gavin Free, i.e., 'I want Gavin Free to die alone, with no children.'" Detectives searching Giles' home say he was "an avid player of video games and was known for watching YouTube videos that were centred on his hobby". They seized a number of items ("two mobile phones, a laptop, two tablets and an XBox gaming system") as evidence, and "believe that evidence related to the planned burglary and homicides of Megan Turney and Gavin Free will be found". Neither Turney or Free were harmed during the incident. Turney is a cosplayer and former Rooster Teeth host with a popular YouTube channel, while Free is the co-creator of Rooster Teeth's The Slow Mo Guys. How awful. Very fortunate no one was hurt, well except the perpetrator. Good riddance. There are always crazies in this world. Thank god they don't know my name, and where I live. Other than my family, of course. Weird how the preliminary postmortem and KXAN report (which appears to be based on police communcation) are so different. I'm too lazy to make a conspiracy out of it. If I had to guess I'd say the preliminary postmortem is just an on the spot assessment of what happened made before the body is taken. The officers probably don't provide their input until their reports. Putting the fan back into fanatic. It might have been something on one of Roosterteeth's side/twitter/youtube. I could see them wanting to reassure people that Gavin's safe. Apparently it was mentioned in there podcast. "co-creator of Rooster Teeth's The Slow Mo Guys"
Lol, Slow Mo Guys is gavin and dan's channel. It has nothing to do with Rooster Teeth. At any rate good to see they're both safe. I do wonder what gavin will do now. If he'll move or just up the security. Rooster Teeth acquired the Slow Mo Guys a few years ago. Detectives searching Giles' home say he was "an avid player of video games and was known for watching YouTube videos that were centred on his hobby". What does this have to do with ANYTHING in regards to this story? While this situation is messed up beyond belief, here is the media once again trying to make video games seem like the symptom and cause of some maniac. Uh, what does him watching video game related channels on YouTube and then going to the home of two video game related YouTube personalities apparently with the intent of harming one of them have to do with anything? Sorry, while usually I think the media tries to make pretty tenuous links between video games and violence.. in this case, it explains what he was doing showing up at their house so is pretty relevant. This is really disturbing, another con of being an internet celebrity with public information available. I haven't heard of her before but after looking at her photos I would say it isn't that hard to get infatuated with her "personality". The stalking and intent to harm is way beyond lunacy tho. Ideally, you should try not to post the assailants image so as not to glorify them in the media which for some of these disturbed individuals crave and hope happens.